After about a week of traveling — beginning in Minneapolis and hanging around Glacier National Park for a few days — we arrived in Seattle on Monday. (But really I’ve been traveling since last August when I left DC, and Dave since May 2012 when he left Pennsylvania.) The city has been Dave’s holy grail for the past two years. Essentially he always knew he’d end up here but in true engineer fashion he had to take a systematic approach to determining a new home and visited every major U.S. city in order to make a decision. A bit more on the impulsive side, I put full faith in his decision-making process and am happy to say “Great choice Dave!” So far the weather has been gorgeous — very much like San Diego. And our neighbors in our temporary Columbia City home are extremely nice and welcoming and jumped at the chance to tell us which neighborhoods we should explore. But, while the niceness and scenery hasn’t disappointed, for me, the best part so far are the fruit trees, everywhere! On our run this morning I had to dodge sprawling Himalayan blackberry branches, jump over purple plums that were staining the sidewalks and kick through apples that made part of our route look like a McDonald’s ball pit. 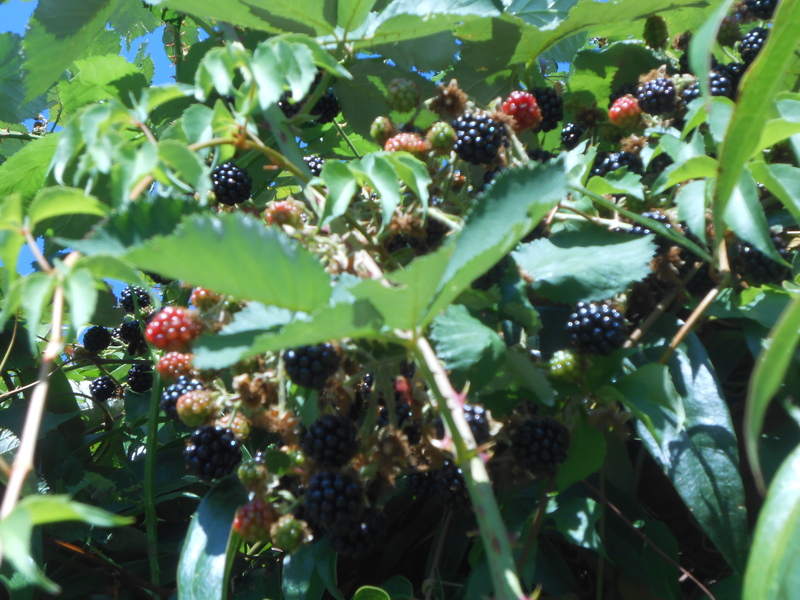 In fact, the blackberries are so prolific, it seems even the birds have forgotten to eat them — or maybe they’re too full. 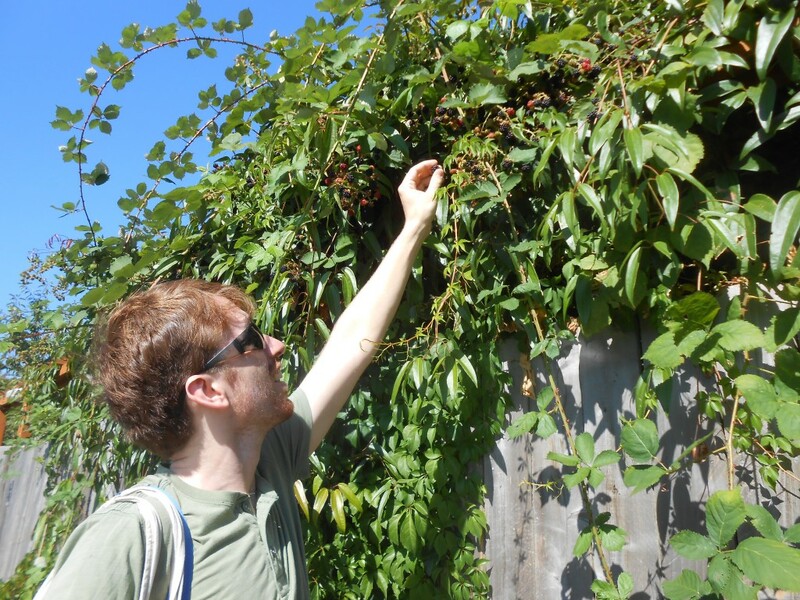 Either way, you pretty much can’t go two blocks without spotting some delicious berries. 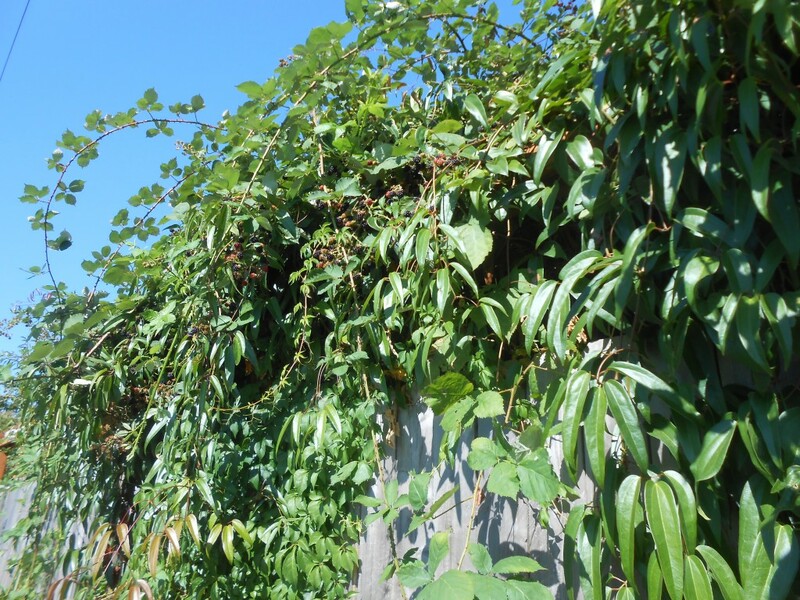 The downside, however, is that this species is highly invasive, and takes over frontyards pretty quick, making the block look a little defunct. Maybe this is why one of our neighbors told us yesterday that Columbia City was the “ghetto” of Seattle. Though, to be fair, he said “if Seattle has a ghetto, then this would be it.” I had to laugh at his comment this morning, as we ran past exquisite flower beds overflowing with blue bachelor’s buttons, orange cosmos, asiatic lilies and pet roses. Even the stereotype of pitbulls behind chain-link fences (sorry Star) didn’t hold up. Instead of ferocious, barking dogs the only things that stood guard were several chickens who were happily pecking at the dry grass in search of bugs. Flower beds, free plums and berries galore? Sounds more like paradise than the projects.